United Healthcare has a new online community for women called Source4Women. This new community provides healthy living information on things like nutrition, exercise, health screenings and more. One of my favorite things they do is each month is an image upload contest where they dare you to do something and you can upload your image for a chance to win really awesome prizes. You may have remember the previous dares from December, November, and September that I’ve posted about here on Fit & Awesome. This month’s February dare is to take the stairs. You can upload your photo on the Dare You To Share gallery by clicking here. Taking the stairs sounds simple, right? But when you take an elevator to go to work everyday or to get to an appointment or doctor’s office, it’s easy to forget that stairs are even an option! I remember when I used to work on the 4th floor of a building and taking the stairs was a quick and easy way for me to get my heart rate up in the middle of the day when I normally spend most of my time at a desk. I encourage…no, I CHALLENGE you to try and take the stairs this month whenever you can in replace of an elevator or escalator. 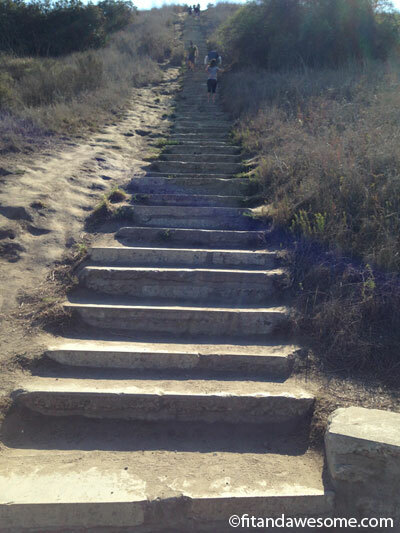 Take a picture of the stairs you challenged and upload to the Source4Women gallery. Upload your image and BOOM – your photo will appear in the gallery within 24-48 hours. What about you? Do you take the stairs whenever you can? Did you enter the Source4Women February dare? Post in the comments and let me know!